Jack Hinks is an Edinburgh-based singer/songwriter, playing to ensure the survival of your ear-worm. Combining genres such as rock, jazz, and blues, Jack creates an eclectic genre of his own, but with a feel that has been likened to Jeff Buckley and John Mayer. Jack performs regularly (with a plethora of bands and outfits) throughout Edinburgh, the U.K, and has already begun to spread across Europe. Jack is endorsed by Faith Guitars, Lucem Guitars, CovenantCables, and Vein-Tap Pedals. Jack performs behind local spoken word giants, Loud Poets; touring the U.K. and Prague since late 2015 and celebrating multiple successful fringe runs at the Edinburgh Festival Fringe. Loud Poets perform monthly nights in Edinburgh at The Scottish Storytelling Centre. The Apollos are a young, energetic five piece band whose song list will have something for everyone! Performing popular chart toppers as well as your favourite classic hits, their unstoppable energy and electrifying vocals will make your guests find the dance floor irresistible! Joining mid 2018, Jack brings his love for all things pop, funk and rock to the band! To book The Apollos, visit our ‘Music For Scotland’ page or catch us performing around Edinburgh’s best bars and venues! HiFi are and Edinburgh-based acoustic duo, combining melodic guitar and violin with powerhouse vocal harmonies. Performing a mix of hits and guilty pleasures, Fiona Liddell and Jack Hinks bring energy and virtuosity to every performance. Whether reshaping any room into a dance-floor, or providing a laid-back lounge set, HiFi fit to any stage for a night of guaranteed entertainment. HiFi are also available for wedding receptions. If you'd like to book HiFi, please contact us through 'hifiduo@gmail.com'. Jack regularly performs alongside fellow singer / songwriter Calum Baird under the stage name, The Cultural Workers, playing acoustic cover favourites, as well as Calum's original material which comes with a Dylan-esque vibe. Regulars at Whistlebinkies will know Calum and Jack, but the duo often travel further afield, including being invited back to play the BBC Bandstand across multiple years. Echo Arcadia are a 6-piece alternative rock band based in Edinburgh. Jack joined the outfit in late 2018 as bass guitarist and backing vocalist working towards their next album. Their debut album, ‘Origins of Symmetry’, is available to download on all major streaming sites. 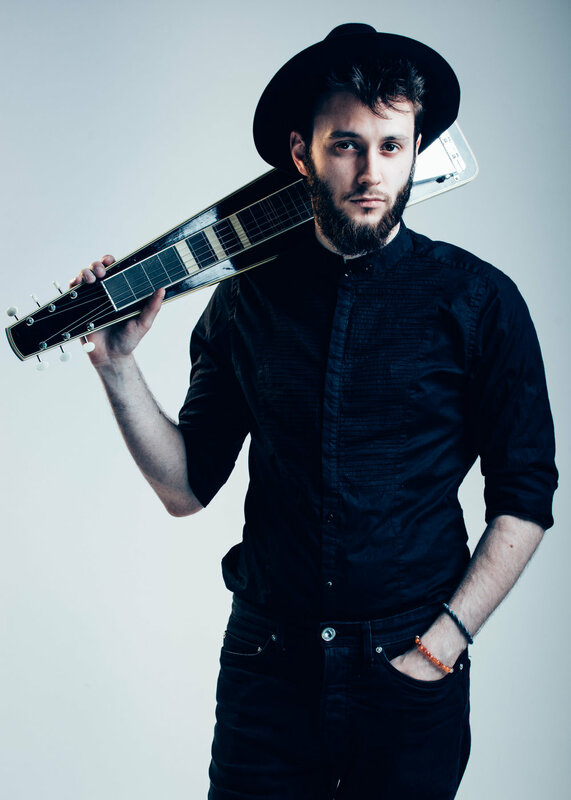 Jack joined Edinburgh-based Country and Americana band, Coldsville in 2015 as a lapsteel player, but has since grown in to his band role as a vocalist and guitarist also. Legends say he's even been spotted with a banjo before. Coldsville perform in and around Edinburgh as a 6 piece, and are firm favourites at The Cowshed during the Edinburgh Festival Fringe. Debut album, 'Places We Used To Go' is available now on all major digital retailers and sites! Catherine Wilson is a poet, performer, writer, public speaker and host of events. Her writing has been featured by institutions including the British National Gallery, BBC Radio Scotland, BBC Scotland News, Forth Radio, STV, BBC Radio 4 and StAnza Poetry Festival. Catherine and Jack are no stranger to each other’s work, and have been performing together for a number of years across the UK and Europe. ‘Wilson & Hinks’ is their collaborative spoken word and music project, with a heavy focus on writing and touring next year. Lewis Bigham aka ‘Glassmasterer’ is a Scottish songwriter and producer blending a wide mix of styles and genres. Often collaborating with favourites such as Katherine Aly and Zenga The Titan, Jack is featured in his latest release, ‘Be Here Tonight’ and several tracks from his upcoming debut double-album. Alternative Rock band hailing from Tyldesley, Greater Manchester. Combining instant-hit riffs with a powerhouse rhythm section, drawing influence from bands such as Queens of the Stone Age, Foo Fighters and Royal Blood. Their debut EP, “Owl’s Eye” is available on all major streaming sites. Jack joined the band late 2017 after supporting them at ‘The Queens’ pub, and being invited to play a few songs with the band during their set. Their since-recorded EP, ‘Melt Away’ is available digitally now.